Relay for Life is a unique and powerful event which brings people together in the fight against cancer! Not only does participating in Relay for Life help raise money and awareness, but it also supports those affected by cancer. The event begins with an opening ceremony to honor survivors, caretakers, and families of those affected by cancer. There is also a Luminaria ceremony, where individuals decorate bags to honor loved ones. The bags each contain a candle, which, as it gets dark outside, begin to glow to create a path of lights as people walk. Teams are created to raise money and to participate/hold events at Relay for Life. In the past, William and Mary students have created teams, and have also held competitions amongst one another to see which team could raise the most money. T-shirts are given to team captains as well as to teams who raise a certain amount of money! We encourage everyone to make a team! In past years, Sports Teams, Club Sports, Sororities, Fraternities, a Cappella Groups, Freshman halls, and many other groups have made teams. 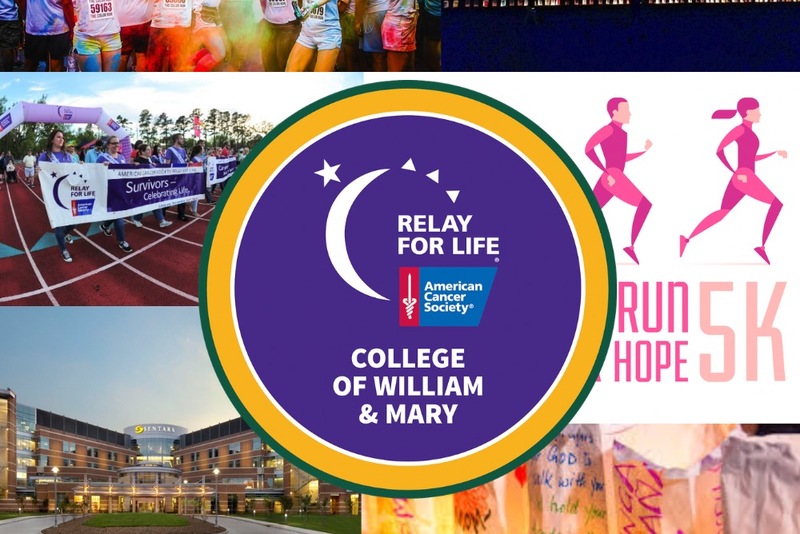 Not only does making a team bring people together, but it also raises a ton of money which goes towards the fight against cancer, and it shows that William & Mary is a caring and compassionate community. The older people who participate in Relay for Life are inspired and motivated each year when they see students actively participating in Relay for Life! The link to register a team is attached. It is easy to make a team, and whether your team raises $5 or $5,000, it is still an important and meaningful contribution. Please encourage your friends and family to donate! Relay for Life is such a special event; participating in such a meaningful and good cause leaves all those who participated feeling motivated, empowered, and inspired.